We’re fans of anything with “Toasted Coconut” in the name. However, all plugs of our amazing poolside restaurant aside, the Starbucks Toasted Coconut Cold Brew iced coffee is pretty delicious all by itself. Made with Nariño 70, Starbucks special cold brew blend of both Latin American and African coffees, as well as toasted coconut syrup and a float of coconut milk, it’s the perfect tropical pick-me-up for those slow mornings and lazy afternoons. 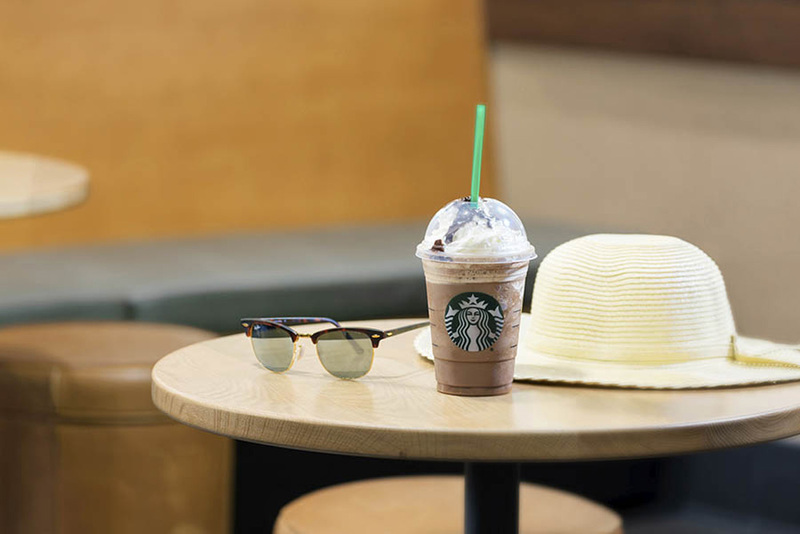 Dessert in a cup, this Starbucks summer drink takes its cues from the Italian after-dinner drink, to create a new type of frappuccino - the affogato-style frappuccino. This drink comes with your choice of frappuccino (vanilla bean, caramel, or mocha) and with espresso drizzled over the frozen coffee for an extra caffeinated beverage. We especially like the affogato-style frappuccino for dessert. It’s sweet and a good cure for a food coma. This drink is perfect for an afternoon in the Key West sun. Made with lime (our favorite), mint, and green coffee extract, the Cool Lime Refresher is ideal for roaming around Old Town and exploring the Conch Republic on a summer day. And it’s actually refreshing. It’s a thirst quencher and an energy booster. What more could you want? Craving some Starbucks? The Starbucks at 24 North is located on the ground floor of the hotel. Consult the hours here.